Vic Firth Ralph Hardimon Corpsmaster Marching Snare Drumsticks have been field tested and proven for many years. 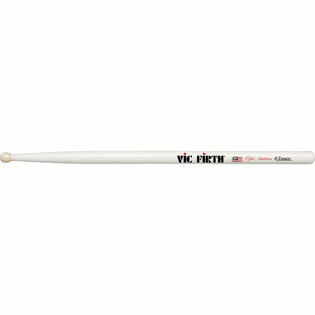 The Vic Firth Ralph Hardimon SRH Drumsticks feature a unique barrel tip and long taper for quick rebound and added control. 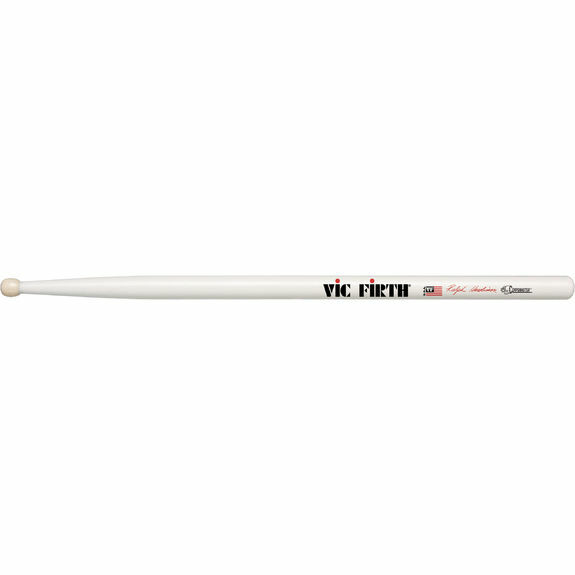 The Vic Firth SRH are turned in hickory for strength and power. Vic Firth signature artist Ralph Hardimon talks about his stick the SRH. This is the stick that started it all! The all time, best selling marching drumstick in the world! Our drumline has used Ralph Hardimon's for at least the past seven years. Never was a fan of the new paint coating, but they have a good feel and produce a good sound for our needs. The older members of our line will go through two or three pairs a season. Probably the best sticks used for practicing. Practicing. When playing on a drum they tend to wear away faster than most sticks I've used(not that it costs a lot to replace them) However the sound from these sticks is incomparable, they sound amazing. Not too deep, not too light, but are great! Would definitely recommend getting these in your arsenal! These sticks have great balance, good rebound, and great feel. The big problem with them is you need 3-5 pairs to last you a season depending how much you practice. They break easily and the wood chips away easily causing the sound and weights to differ. Personally, I prefer Innovative Percussion's Jim Casella marching sticks and that's what I'd recommend. Just what I needed. Great quality.